This entry was posted in Archiv @de. Bookmark the permalink. wound up here Hallo Welt! 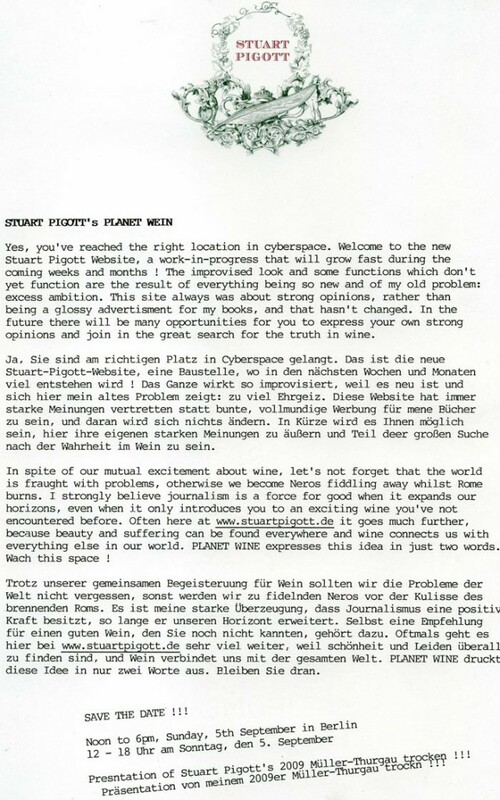 | Stuart Pigott’s Planet Wine. of these responses look like written by brain dead visitors? Would you make a list of all of your communal pages like your Facebook page, twitter feed, or linkedin profile?